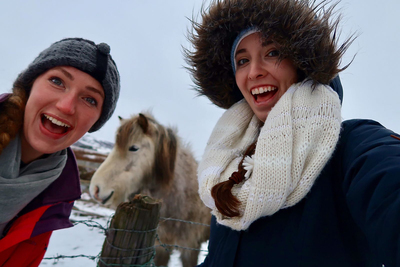 As an animal science major and a horse lover, I was so excited when one of my Icelandic excursions involved a trip to pet the friendly and charismatic Icelandic Horse. Lichtenwalter, Callan, "Horsing Around in Iceland" (2016). Study Abroad Photo Contest. 69.